16-year-old Lorde’s rise to fame was greeted, inevitably, with criticism, emerging most swiftly and energetically from Miley’s rabid fans. Between stellar reviews and sold out shows, and after the hoarse shrieks of “your eyes are too far apart” had died down, the criticism came from a decidedly different section of the cultural arena, with several blogs labeling Royals, Lorde’s hit single, as racist. For some inexplicable reason, I feel a strong sense of protective duty for anything that makes it off my island home, New Zealand. This strange version of patriotism is not unbridled; it extends far enough to include Gollum without quite making it to Russell Crowe. I have a sneaking suspicion that if Lorde and I grew up in the same city, and I wasn’t graduating high school when she was 11, and I was significantly cooler, we would totally be friends! My friends are capable of being racist, though, so this wasn’t the only criterion for her defense. The rest of Lorde’s chorus includes “grey goose, tripping in the bathroom, blood stains, ball gowns, trashing the hotel room”, and escalates quickly to include “Jet planes, islands, tigers on a gold leash”. Upon reading these lines, I don’t know how Flores assumed we “all knew who she’s thinking” because I thought of like 27 different things, from Gossip Girl to Rich Kids of Instagram, from mainstream hip hop to the Kardashians, from Ke$ha to Gaga to the Queen of Versailles documentary and all the way back to Miley again. It’s true, gold teeth makes me think most immediately of mainstream black hip hop culture. It’s true, I don’t know what a Maybach is. But to limit the argument to Lorde’s representation of opulence as a characteristic of black culture seems like a pedantic and unfair representation of her words on the one hand, and an unfair representation of black culture on the other. Lorde dissection of this cultural reality is also imbedded in a message of unattainability; an unattainability that is powered by racism and classicism, as economic disparity is inclined to propagate. As Sam Tolzmann reasoned through with me via email, if we have to be reductive about the racist themes within the culture of mainstream music, we should acknowledge they exist within the racism of cultural imperialism, which Lorde is justified to criticize. This is not racist propagation, it is defiant critique; If Lorde feels a disconnect between her own life and that of people who trash hotels, it is because that disconnect is there, and more pointedly so if you’re a poor, black young person in the USA. As an addendum, it also seems important to note that the gold-teeth wearing mainstream hip hop really does not represent the diversity of black music culture, and to lump black artists into that white-run, white-consumed realm of consumerism is a dangerous exercise. If Lorde’s intention is cultural critique, then it is aimed squarely at US cultural imperialism, and the importation of rampant consumerism via the opulent and unnecessarily luxurious lifestyles of the Americans that crowd our TV screens and radios. On this point, Lorde and I are in complete agreement; and my alarm is heightened (I won’t pretend to speak for her on this one) when I consider the repercussions this importation of conspicuous consumption has on our own issues of race relations. New Zealand was a country colonized by the Brits, in a move that caused great suffering amongst the indigenous people, the Maori. With an understanding of how these disenfranchised people are still marginalized in society; greater cultural representation and respect, as well as a more egalitarian socio-economic system, has made the place of the Maori people within New Zealand society significantly more optimistic than most other colonized countries. The threat of US imperialism is the threat that an economic system that glorifies excessive individual wealth without questioning the income inequality that inevitably accompanies it. It is a system, as we have seen in the US, that disproportionately affects marginalized communities. I’m not pretending Miley (I wish I knew how to quit you) has that large a impact on the day to day goings of New Zealand Government, but allow me to protect, for a moment, the socio-economic philosophy that allows my country to have health care, good public education, a governmental tribunal on reparations for past racial injustices, and interest few student loans, to name a few of the perks. At the end of the day, Lorde may be most concerned about the fact that the pet tigers are leashed and are thus unable to roam free, and my main concern may be that these perspectives are lost in the US cultural context, but the beauty of our friendship is the breadth of topics we can be concerned about together! 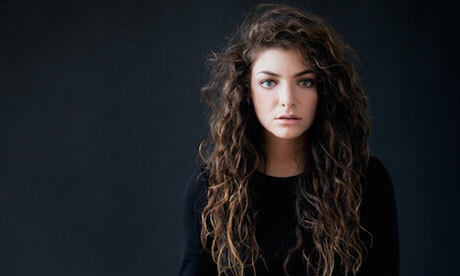 For the naysayers, here is a cheeky piece that dissects Lorde’s whole album, and the manner with which she “shamelessly ridicules the tens of millions of African Americans who own expensive cars, champagne and tigers”.